I watched the very interesting talk by Steve Sanderson (KnockoutJs creator) from NDC 2016 yesterday and took some notes and screenshots that are worth sharing. Watch the video, but here is my summary. With Steve on the MVC team, there are a lot of helpful and timesaving features coming to MVC. 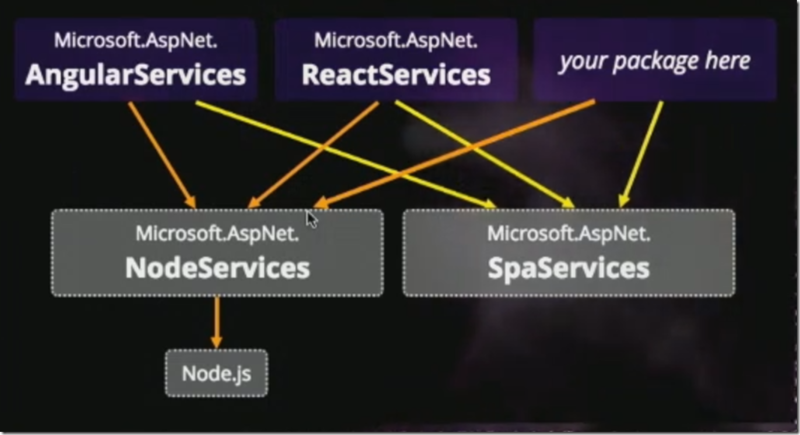 He says MVC 6, but from the middleware and Mac he uses it has to be ASP .Net Core 1. I’m interested in the NodeServices, but I’m currently using Knockout and want to use Aurelia so it’d be good to see more than Angular and React as options. Grunt/Gulp then babel are a lot of tools to learn and get setup, what if MVC did it for you? NodeServices is used on the server to run node and do the transpiling. I wonder if that can be cached (304) in the normal way? I’m hoping to get a chance to use this someday soon!